HDR in televisions offers a wider color palette, and the blacks are deeper and whites are brighter. If you're looking to buy a new TV, prepare to hear a lot about HDR. High dynamic range is probably most familiar to people through the HDR mode on their digital cameras. It's designed to deliver a picture that has greater details in the shadows and highlights a wider range of colors. HDR in televisions pursues the same goal. The color palette is wider, blacks are deeper and whites are brighter. "HDR changes the way movies and video content looks on your TV screen with a wider range of brightness and contrast," said Kaz Hirai, CEO of Sony, as he introduced several new TVs from the company at the IFA consumer electronics show here in Berlin. "You can really see a difference in bright and dark areas of your screen," he said. Sony will be including HDR on 4K TV models on sale later this year and plans to provide a firmware upgrade that will add it to almost all of its current 4K televisions. On the IFA show floor, Sony isn't alone in showcasing HDR. Samsung, Panasonic and LG also have HDR TV sets and the benefits are clear to see. 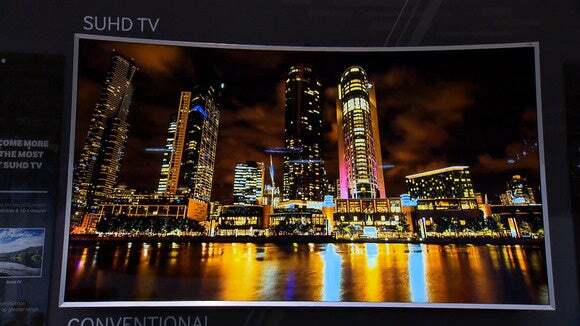 The TVs have an altogether more vibrant picture with better brightness and contrast. 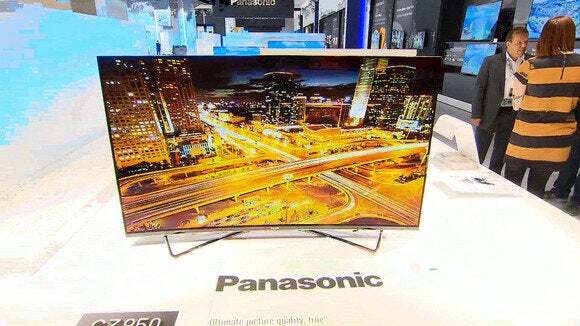 An HDR TV displayed by Panasonic at the IFA consumer electronics expo in Berlin on Sept. 4, 2015. TV manufacturers have been trying to improve picture quality for some time by using custom image processing chips in their sets, but HDR is different. The TV doesn't guess how to make the picture better -- the HDR information comes in the video stream. So a TV alone won't bring you HDR. It has to be provided in the video and for that to happen, the content needs to be shot in HDR too. In that respect, it's similar to 4K -- changes need to be made from capture through editing and distribution to the living room TV. Broadcasters haven't come up with a standard for sending it over the air, but there is development work going on. Most notably, the BBC has a proposal for including HDR in the current DVB-T transmission standard used in most of the world (but not the U.S.). It's easier over the Internet and Amazon is already providing a couple of its in-house productions in HDR. Netflix has said that it plans to launch HDR video too and it's supported in the 4K Blu-ray Disc format. So for now, consumers will need to be a little patient in waiting for HDR content, but it does appear to be on the way.